- 8 teams, Bo3 single-elimination bracket. -Top 2 teams are qualified. 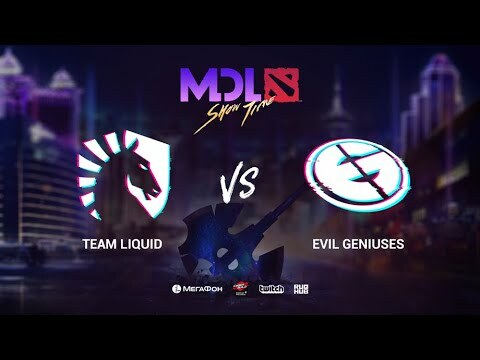 Team Liquid took down Evil Geniuses 3:1 to become the MDL Macau 2019 champions. Team Liquid has reigned supreme at MDL Macau 2019 to become the first Grand Finalists while EG and VP will battle for the second spot. EHOME and iG were the first two teams to be eliminated at MDL Macau 2019. The group stage of MDL Macau 2019 ends with the TI7 champions on top followed closely by Vici Gaming, Evil Geniuses and Royal Never Give Up. The first day of MDL Macau 2019 has come to an end and Evil Geniuses have taken the lead so far.